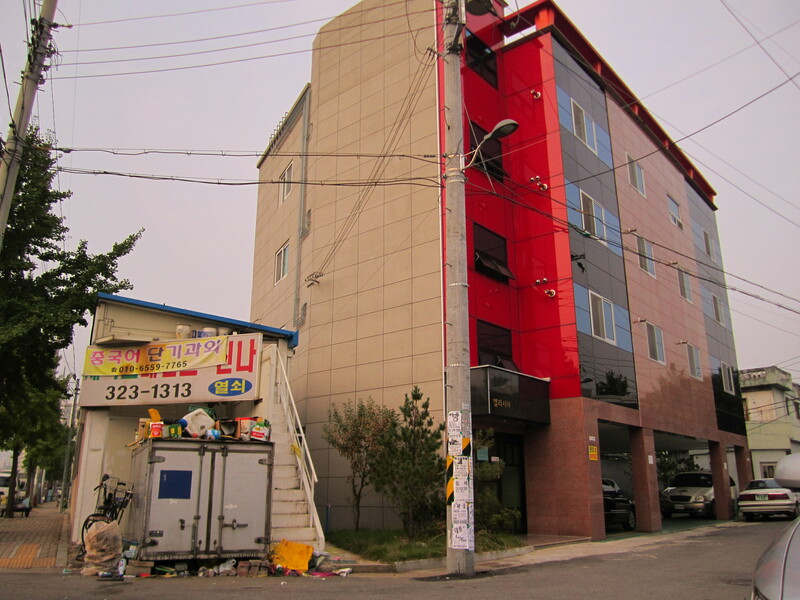 I have a guy who lives in a dumpster on the right and a group of ajumas gambling in the parking lot on my left. I think I live next to a sewage river, too. I have a guy who lives in my dumpster on the right and a group of ajumas gambling in the parking lot on my left. I think I live next to a sewage river too. Dynamic Korea!